The number of Ukrainian refugees in Russia has nearly reached 1 million, Russia’s top diplomat said Wednesday. Foreign Minister Sergey Lavrov also said at the Seliger-2014 all-Russian youth forum in the Tver Region northwest of Moscow that Ukrainian refugees should be given the right to live where they want. “The situation of people who fled Ukraine’s southeast to other regions of the country is very difficult. Ukraine has no laws on internally displaced persons, that is why they do not obtain documents confirming their status, and if there are no documents they cannot get a job, obtain loans and sustenance,” Lavrov said. “It is necessary to push for people to be able to reside where they want to,” he said. 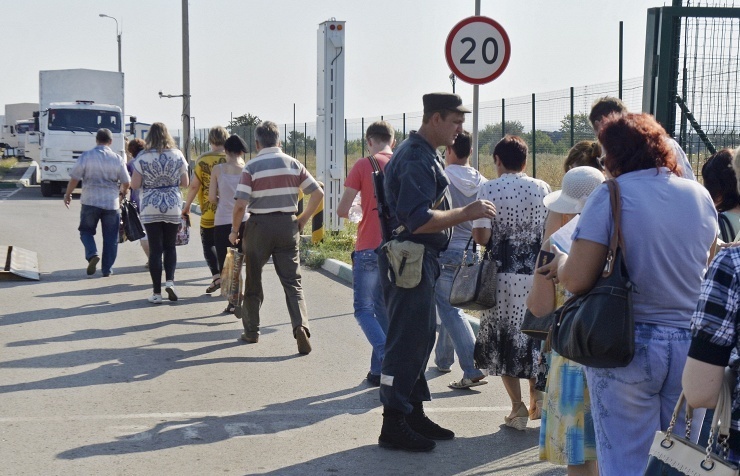 The minister cited UN data in line with which more than 22,000 people left Donetsk and Lugansk last week, adding that refugees are afraid to use the so-called humanitarian corridors provided by Kiev as they are unsafe. The Russian Foreign Ministry said Tuesday citing the latest statistics released by the UN Office for the Coordination of Humanitarian Affairs (OCHA) that the number of fatalities from the armed standoff in the embattled east of Ukraine has reached 2,249 and added that another 6,033 were injured as of August 19. Troops loyal to Kiev and local militias in the southeastern Ukrainian Donetsk and Lugansk regions are involved in fierce clashes as the Ukrainian armed forces are conducting a military operation to regain control over the breakaway territories, which on May 11 proclaimed their independence at local referendums and now call themselves the Donetsk and Lugansk People’s republics. During the military operation, conducted since mid-April, Kiev has used armored vehicles, heavy artillery and attack aviation. Hundreds of civilians have been killed in it. Many buildings have been destroyed and hundreds of thousands of people have had to flee Ukraine’s embattled southeast.